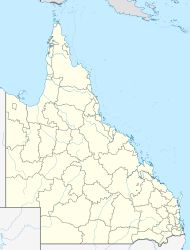 O'Connell is a suburb of Gladstone in the Gladstone Region, Queensland, Australia. The suburb is named after Sir Maurice Charles O'Connell who was the Government Resident at Port Curtis from 1854 to 1859. In 1860 (after the Separation of Queensland) O'Connell was appointed a member of the Queensland Legislative Council and was its President from 1860 to 1879. ^ a b "O'Connell - suburb in Gladstone Region (entry 49423)". Queensland Place Names. Queensland Government. Retrieved 29 December 2017. This page was last edited on 4 January 2018, at 08:43 (UTC).